Happy Summer to my Literacy Land friends! 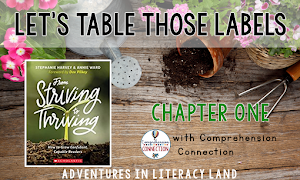 It's Lauren here today from Teacher Mom of 3 to discuss motivating and encouraging lifelong readers This is a two part series for teachers and parents. Part One will discuss our littlest readers and next month we will discuss intermediate elementary through young adults. When parents of young children approach me concerned that their child is not showing an interest in reading, my advice is always the same: do lots of lap reading, read-alouds, and don't force the issue. Motivating children ages birth to kindergarten is, in my experience, much easier than motivating older readers who may have already lost interest for one reason or another. For teachers of pre-k and kindergarten students, my advice is similar: read aloud, keep it simple, and show sincere, authentic passion for reading. 1. The number one goal of reading is to instill a love of reading and to create life-long readers. We need to show kids that reading is fun and enjoyable. I remember when my youngest son (who is now 7), would not sit still for lap reading until he was almost 3.5 years old. I grew concerned and worried, as my two older sons had loved to be read to from birth. I had done nothing differently with my youngest. So, I relaxed and read to him for as long as he could concentrate and sit still. Had I forced him, he may not be the little bookworm that he is today. 2. Immersion- Surround your environment, whether the classroom or home, with a variety of kid-appealing reading materials. I display books on the buffet in the dining room, have books and magazines (both fiction and nonfiction) on the coffee table (which we call the "reading table") in the living room, reading materials are in the car, in the playroom, and in the bedrooms. 3. Limit screen time- Just like in the classroom, motivating kids to read is all about balance. My sons have book shelves in their bedrooms. No TV. No video games. No computers. Do they play video games? Absolutely. But they also read a lot at home, ask to be read to, and share book suggestions with me and with each other. 4. Your local library- It is never too early to take a child to the library. When my sons were toddlers, they loved to visit the library to play with the toys, especially the train table. I would sit on the floor or in a chair reading a stack of picture books, which would intrigue them enough to come over to me and explore the books. They associated the library as a place that was enjoyable. 5. Gadgets- When my oldest was little, he had an electronic, plastic book mark that had a timer on it. This allowed him to keep track of his required reading minutes for school independently. My two youngest love their book lamps that clip to their books and make reading at bedtime fun. Sometimes they use flashlights too! 6. Interests- As the quote above from the book Readicide supports, find out what your children or students are interested in reading. To develop lifelong readers, we need to match them with books that interest them and that are meaningful. For me personally, this is much more important than matching a reader to a leveled text. If we do not motivate first, learning and growth will not prosper. 7. Digital- Encourage and allow time for reading digital texts whether it is from Starfall, on the tablet, or the Kindle. Some kids prefer reading digitally, others do not. The audio and interactive components (such as with Scholastic's Storia) are a great way to "hook" readers. However, I would suggest to balance reading with hard copies and digital ones. 8. 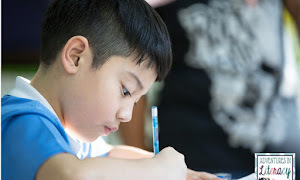 Intrinsic Motivation- Our goal in encouraging kids to read is to create a lifelong reader, which is most likely to occur with intrinsic motivation. Personally, I am not a fan of contests that reward those who read the most minutes, earn the most points, etc. We want kids to read for pleasure and to be able to read to learn, not to earn prizes. As for reading logs, most kids do not enjoy completing them, but they are important as they get older. See below for a free log I designed for my boys when they were in preschool and kindergarten. If young readers fuss, encourage the parent to complete the log themselves and then show their child how many books they have read and celebrate their accomplishments. 9. Acknowledgement- The "2 Sisters", Gail Boushey and Joan Moser (authors of The Daily 5), teach their students three ways to read a book. For our youngest readers, reading the pictures of a book is reading as is a toddler or preschooler that flips through a picture book and retells the story that was read aloud by a parent or teacher. In addition, acknowledge and praise children who read environmental print, maps, pamphlets, video game instructions, recipes, etc. Reading is so much more than reading picture and chapter books! 10. 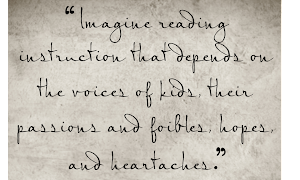 No quick fix- I see our job as parents and educators to sow the seeds of passionate reading and learning. Over time, we water and nurture the seedlings, and wait patiently for our little readers to bloom. One way that I do this at home is not only reading to my children before nap time or bedtime, but by also having Books for Breakfast and Supper Stories. This is a time when I read aloud at the dining room table as my family enjoys a meal. See here for a post from Em that includes a free interest survey that is perfect for kindergarten and first graders. 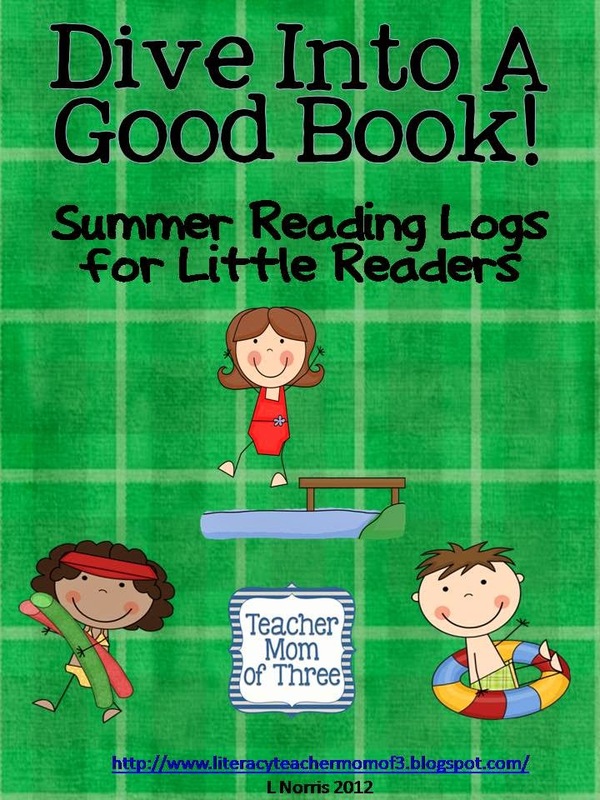 Click the picture below to download a fun, FREE, interactive reader's log! How do you motivate little readers? Please share your ideas, as we collaborate together to help as many children as possible to catch "the reading bug"! Thank you for this great post! I shared it with our school's PTA facebook page! Hi Lauren! This is a great list! I have three kids 4, 2, and 1 month and I love taking them to story time at the library. They do a lot of reading and singing and are fine if kids can't sit through the whole thing.